I work on drug resistance in HIV. There are two ways in which someone can end up with a drug-resistant HIV strain. Either you were infected with a non-resistant strain and subsequently the virus evolved to become drug resistant while you were taking treatment. This is called “acquired drug resistance.” The other possibility is that you got infected with a viral strain that was already resistant. This is referred to as “transmitted drug resistance.” Most of my work deals with the first type of resistance (acquired), this blog post, however, deals with the second type (transmitted). Transmitted drug resistance is a serious problem, because people with transmitted drug resistance may start a treatment that is not going to work. Worse: if you take a treatment that doesn’t work very well –because your virus is resistant of one or more of the drugs you take– then it is likely that your virus will soon evolve to become resistant to the other drugs you’re taking. This sort of trouble can be avoided if a resistance test is done before treatment is started. To explain the basics of transmitted drug resistance, I made a short video about it. Have a look! If you’d like to know more about transmitted drug resistance, keep on reading! I took the rest of the text in this post from my review paper “HIV drug resistance, problems and perspectives” that appeared in Infectious Disease Reports earlier this year (under a creative commons license 🙂 ). Drug-resistant HIV strains can be transmitted from one patient to another. Due to such transmitted drug resistance, a newly infected patient may carry a drug-resistant virus even though he or she has not yet used antiretroviral drugs. From the early days of HIV treatment, researchers have feared that drug-resistant strains would reach high frequencies among newly infected patients, rendering certain drugs entirely useless. Fortunately, this has never happened with HIV drugs. In comparison, many malaria drugs have been withdrawn from use by national authorities because of widespread transmission of drug resistant malaria parasites (1). Transmitted drug resistance does occur in HIV, but the numbers have remained relatively low. In high-income countries, between 7 and 17% of newly infected patients carry at least one major drug-resistance mutation, usually a mutation that confers resistance to one of two drug classes: nucleoside reverse transcriptase inhibitors (NRTI) or non-nucleoside reverse transcriptase inhibitors (NNRTI) (2,3). The transmission of drug resistance to the third major drug-class (protease inhibitors, PIs) is less common. Even though transmitted drug resistance is somewhat more common in high-income countries than in low-income countries, the impact may be lower for patients in high-income countries. This is because, in high-income countries, it is standard practice to genotype the virus before starting treatment, to determine whether resistance mutations are present. If such genotyping is done and a fully active combination of drugs is chosen, treatment success rates of patients with transmitted drug resistance are very high. For example, Wittkop et al (6). estimated that among European patients with transmitted drug resistance who were treated with a fully active combination of drugs, 95% had fully suppressed viral load after one year. Of the patients who were treated with an insufficiently strong regimen, 85% had fully suppressed viral load after one year. In low-income countries, patients with transmitted drug resistance may start insufficiently strong ART regimens, because viral genotyping is usually not available and transmitted resistance not detected. Insufficiently strong treatments will be less effective in reducing the viral load, which, in turn, can lead to the evolution of multi-class drug resistance. In addition, even if testing is done, fewer second-line treatment options are available for patients in low-income countries. World Health Organization. HIV drug resistance report 2012. Available from: http://apps.who.int/iris/bitstream/10665/75183/1/9789241503938_eng.pdf. WHO, UNAIDS, UNICEF. Towards universal access. 2007. Available from: http://www.who.int/hiv/mediacentre/universal_access_progress_report_en.pdf. It’s been a crazy two weeks, my twitter feed and facebook newsfeed are exploding. And it has nothing to do with the government shutdown. The social media explosion started with Asha ten Broeke who argued that it is not okay for a toy company to encourage girls (but not boys) to do household chores and be “just like mama.” See here for an English language commentary on the topic. It became a twitter storm because many people in The Netherlands (including the biology professor who was on the same talk show as she was) think this kind of sexism is perfectly OK. 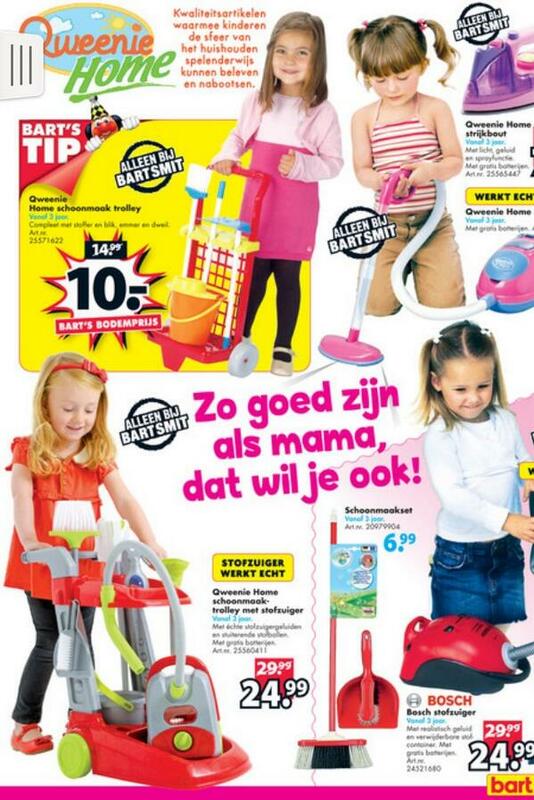 This is how a Dutch toy company tries to sell toys (the pink text says: “As good as your mom, that’s what you want”). Just a day later or so, another storm erupted when Quinsy Gario argued that “zwarte piet” should be eliminated from the Dutch Santa Claus folklore. Zwarte piet is like blackface and many Dutch are not willing to part with the tradition because it’s “just fun.” Both Quinsy Gario and Asha ten Broeke got many negative reactions, from anonymous tweeters and “respected” politicians and scientists. It is not easy to fight for equality and I have great respect for both of them because they stick their neck out. This is how the many Dutch (including national television!) 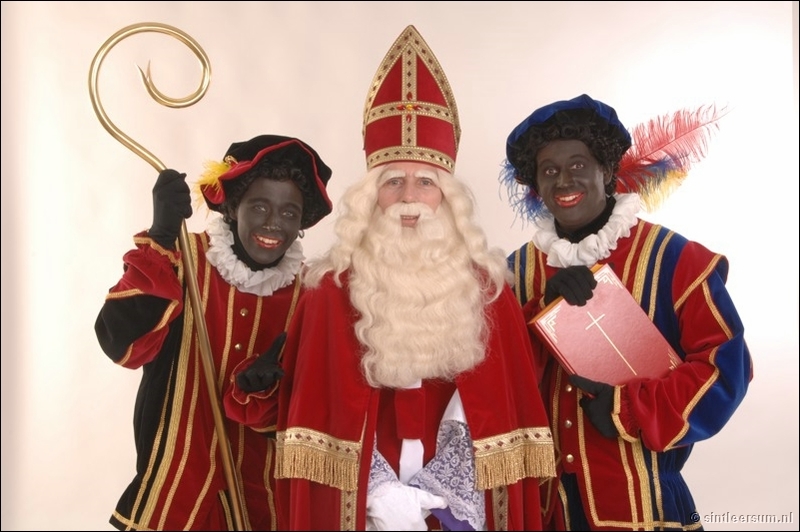 celebrate “Sinterklaas”. In the folklore story, the black guys are the clumsy but athletic helpers of the old and wise white guy. To me it’s pretty obvious that this story should be changed as soon as possible. The twitter storms in The Netherlands were not yet over when a new storm started. This one was about Danielle Lee (who blogs as DNLee), a scientist and blogger (biologist and postdoc, like me) who was called a whore by an editor (yes, you’re reading that right) and wrote a blog post about it. The blogpost was then removed by Scientific American, and after much protest reposted. Read about the story here. And read the original post by DNLee here. Then, just as everything seemed to be calming down a little, a new storm started when Monica Byrne wrote that Bora Zivkovic, blogs editor for the same Scientific American harassed her last year (she had written about what happened before, but not revealed his name previously). Her blog is here. Bora Zivkovic said he was sorry: “it happened only once,” he said. Which was not true, as another female blogger was quick to remind him. After that more and more stories surfaced. Karen James storified it here. Also, check out Priya Shetty’s great story about it here. The things that happened and are happening everywhere make me furious. But as long as there are people like DNLee and Monica Byrne and Asha ten Broeke and Quincy Gario (and many many others) who are willing to stick their neck out and fight for equality, I have great hope that things will get better.